Who would have guessed that a little story I wrote on this here blog in 2011 would end up causing such a ruckus. All I wanted to do was help people to easily find the Hollywood Sign, a place that’s so special to me and many other Angelenos. But this month, years after my post was published, I was contacted by two different residents who wanted me to censor my original blog post. Basically they wanted me to lie to people, take down my directions, and say that you can’t hike to the sign. Which, clearly, you can’t. 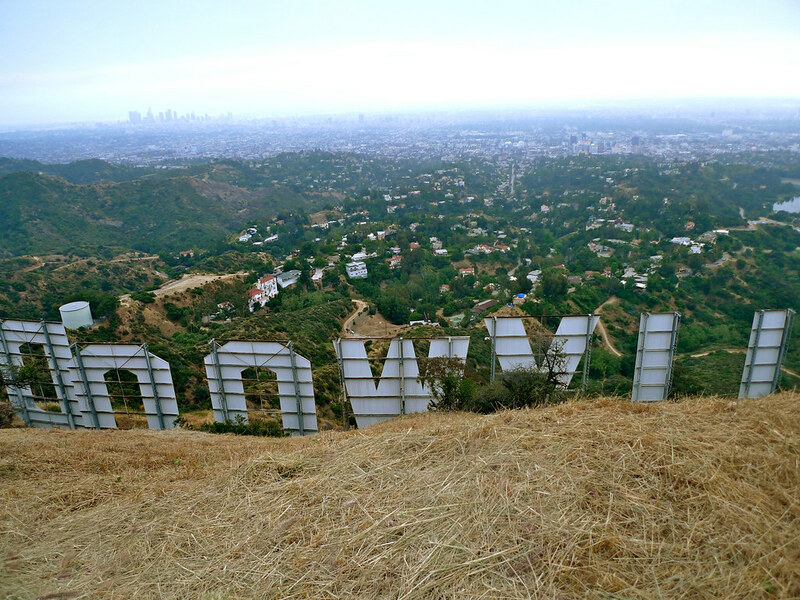 Who knew the Hollywood Sign had so many friends and fans? The response has been incredible. The story has been covered in several different languages and I’ve gotten so many wonderful emails from people all over the city (and the world) supporting me in my quest for geographic transparency. I’m working on a follow up piece that will address some of the better proposals for access to the sign, which hopefully can help kick some of these ideas into motion. Until then, you can read the whole story over at Gizmodo. Yep, he walked the same trail that Google Maps says isn’t there. Update II: Steve Lopez interviewed me for his awesome story in the Los Angeles Times, and he’s looking for your ideas on how to make the trail more accessible to all. This entry was posted in creating, designing, Gizmodo, reading, walking. Bookmark the permalink. Alissa, the Hollywood sign situation is very nuanced and unique. There are very few areas in the world that have an international landmark that is closed off, leaving visitors to go to “viewing spots” in the different neighborhoods. You have conceded that this problem is very recent — it arose with the advent of GPS. That means that the neighborhoods and viewing spots were not pre-planned to deal with hundreds of thousands of annual visitors. The solution of directing all of these tourists away from a small park in a high fire hazard zone may trump the “right” of a photographer to get an up close shot (a large scale fire vs using a zoom lens?) in Google’s mind. Courts and reasonable people “weigh” situations all the time and come to reasoned judgments. Your solution of just putting these viewing spots on Google and calling it a day is not reasoned at all. It fails to consider the local issues of fire, gridlock, emergency access, etc. Instead of solid reasoning, I noticed words like “wealthy,” “NIMBY” and other divisive words used throughout one of your blogs. Those types of words indicate a weak position to me. It reminds me of the type of hyperbole used on Fox news. I look forward to reading your next blog on the issue, which will hopefully involve some analytical reasoning (for example, note that free speech rights are not absolute, and one cannot legally yell “fire” in a crowded theater if there is no fire). Thinking in totally absolute terms will not work for the Hollywood Sign situation. It is fascinating that no one questions the notion that the actual sign is completely closed off to tourists. The fact that tourists have been deemed unworthy to actually get to the metal letters themselves received no attention–it is just accepted. Great point about the the Sign itself being closed to tourists. It is funny how the blogs here attack NIMBYs and residents, but make no mention of the City or Sign Trust in their decision to keep this desirable iconic landmark CLOSED TO ALL TOURISTS. The blogs here just accept the status quo that the area around the Sign is a restricted zone forever. Instead, tourists can take photos from 2-3 football fields away in a park filled with dog-doo. Hmmm…. Seems like the residents don’t look so bad now.